A game by the all-designer student team Skyscraper Games. 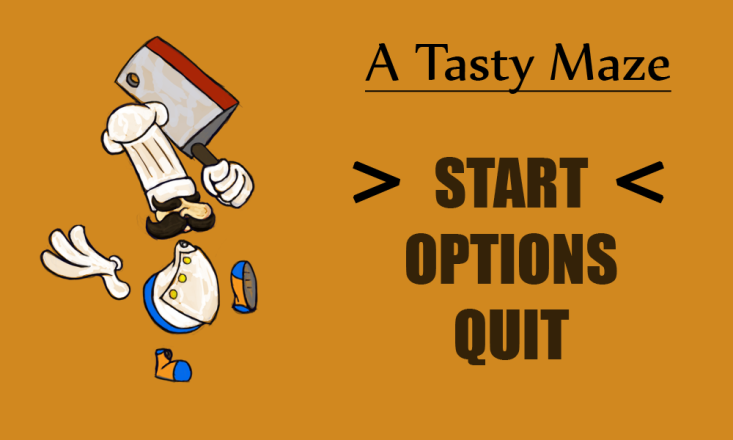 The player is a portly chef that has been thrust into a bizarre alternate dimension by a malevolent, hungry overlord. In order to earn the chef’s freedom, the player must navigate deviously designed 3D labyrinths in search of recipe ingredients, combating “bad” junk food NPCs along the way. The player will be able to dynamically alter the walls surrounding them by collecting ingredients and activating switches. Starting out in your kitchen inside a building, the player is in a large single room kitchen tutorial area teaching them how to move. Navigating out to the outer open elevator, the player will be immediately taken in by the surrounding large garden hedgemaze as the chef is lowered into his garden labyrinth. The player will be in the garden looking for 3 ingredients to complete the meal he was making upstairs, explained by a note the player finds. Upon finding the final ingredient, that is where the twist in the game occurs. While seemingly backtracking in the hedgemaze following the rabbit, the player will find he has ended up in an alternate dimension where mazes are on the walls in a big hub with multiple paths leading out from it. There is a neutral NPC in the middle of the hub that gives you a list of ingredients you need to find so that you can make a meal for a hungry, angry overlord in this alternate dimension. The NPC will explain how you’ve been summoned here for the sole purpose to cook for them. From the hub it will be clearly marked which way to which ingredient. Each ingredient will require the player to traverse a different puzzle/maze to acquire said ingredient. Upon acquiring all ingredients, the player makes a meal which grants him access back to his normal realm after a final confrontation with overlord, who is female. The player will want to progress and explore the different areas to regain their freedom. It will be action based with sections requiring the user to think which ingredient would go with what meal. The entire game should not take any longer than 30 minutes. 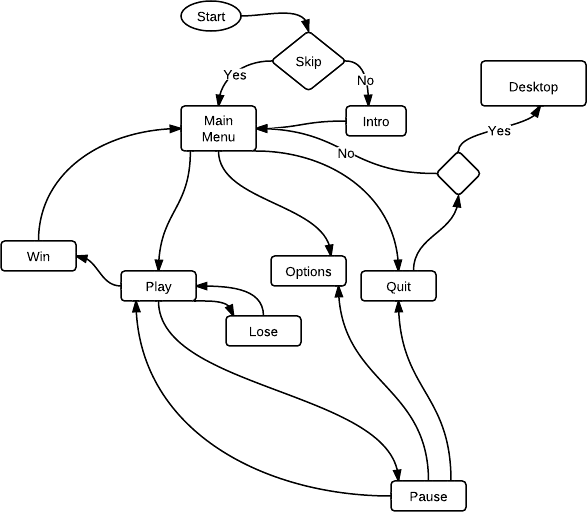 Movement: The player will be controlled with keyboard WASD keys or with an XBOX360 controller. Damage:	The player will have a set amount of health. Getting attacked by an enemy will take away from that health. Periodic healing spas will completely re-heal the player. NPCs have static health as well. Points:	No point system. Only collection. Winning:	To win, complete your hasenpfeffer meal by getting back to your realm. Losing:	If you die, you lose, and start back at a checkpoint. Stats:	The game tracks what ingredients you’ve collected and how many puzzle mazes they have completed. This will be utilized with a percentage score next to username on main menu. Line of sight: Enemy NPCs can see through walls but not forever. Once out of a certain range, they stop tracking. Noise detect:	Enemies cannot detect noise, but will attack if they see you over a wall. Story:	A portly chef in Europe just trying to make some hasenpfeffer! Purpose:	For the player to follow through the garden during tutorial. Story:	A rabbit you find roaming your garden. Purpose:	Stop you from getting good food. Grunt-level enemy. Story:	A good bag of chips turned bad by the overlord. Story:	A half-eaten chocolate bar out for revenge. Story:	The vines of red do not like to be disturbed. Story:	Once good, turned twisted and bent on bad food. 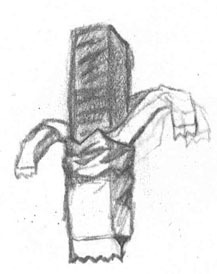 Rolling Pin	Main characters melee weapon. Carrot	Ingredient to be acquired. Potato	Ingredient to be acquired. Strawberry	Ingredient to be acquired. Rabbit Meat	Ingredient to be acquired. Bush	Acts as garden wall. Environment 1:	Kitchen / Cookies Garden. This is the starting area the player familiarizes himself with. It is bright and colorful and will contain an entry-level maze introducing the player to the games’ main mechanics with a couple dynamic walls but no enemies. There will be two main areas here. This inside kitchen, and the outside garden. Environment 2:	Overlord realm. A slightly darker but also colorful abstract realm with enemies in similarly styled simple maze area but with the small added difficulty of low level grunts. There will be three main areas in this realm. Three distinct areas, and one central hub. Area 1 is the hub. The hub is a big circular area with three connecting maze puzzles to explore, each with respective ingredients to be found there. Area 2 is also inside the underground area with a multidimensional maze that requires pressing switches to access different parts of the maze. Area 3 is an outside maze along the side of a rock face that has you ascending to the overlords lair with all required ingredients. XBOX360:	Analog stick to maneuver character. Look and feel:	The game will be bright and colorful in the outside realm, and slightly darker but also colorful in the abstract realm. The look the game will have the color palette of World of Warcraft. Colorful and cartoony. The gameplay will reflect this with its physics and animation/humor style of Looney Toons. Camera:	3rd person high over the shoulder. Distance from the character will be somewhere between Gears of War and the original Fallout. Music will be light and fun. Non distracting to play, but representative to surrounding area. Light and fun in the garden, dark and brooding (but still light in theme) in the abstract world. Certain enemies will be able to detect destroyable walls and break through them to get at you. Each junk food NPC will have its own unique personality. The final boss will not need AI pathing as she will be stuck in one spot merged with the wall behind her. Normal grunt-level NPCs will require simple pathing along the inside of each maze area. The game will have normal world physics applied to the character, objects, and NPCs. When the character jumps, he comes back to the ground. Physics objects like boxes will naturally fall. No multiplayer is planned for this game. Chef Cookie is the son of one of the best Chefs in all of Europe. Living up to his fathers’ standard had not been an easy task, and making the perfect meal is his goal day in and day out. Then came the day that he needed to make the dish he had always feared making. Hasenpfeffer. His dad made it perfectly, and he never wanted to make it imperfect. So he decided this was the day he would make it! Leaving his kitchen, Cookie descends the elevator down into his garden to acquire some meat for the stew. When he finds a rabbit he begins to chase it down with his rolling pin to knock it out and bring it back upstairs for food preparation. While chasing the rabbit however, the chef to his bewilderment ends up in an alternate dimension and the rabbit is nowhere to be seen! He ends up in a dark and colorful realm filled with mazes and stuck in a large hub with a shady NPC telling him about an overlord and how the overlord is hungry and summoned you here to make food for them. 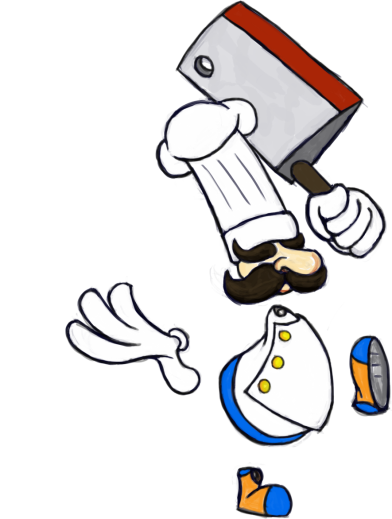 The chef must avoid junk food that has turned evil in this realm while acquiring new ingredients to make for the overlord. When the chef finally acquires all needed ingredients, he must face the overlord to feed them the meal they requested. When the chef enters the overlords’ room, you find out the overlord is in fact a crazed lady who is very hungry. The chef satisfies her hunger which changes the world around him back to the reality he was used to and he returns back home to finally make the hasenpfeffer. Glow effect to surround ingredients. Description:	A rolling pin to be used for melee. No bones or physics needed. Size:	a little longer than the length of an arm. Description:	an ingredient to be collected No bones or physics needed. Size:	About 4 feet tall. Nice and big. Description:	an ingredient. No bones or physics needed. Size:	a little longer than the length of an arm. Nice and big. Description:	a small rabbit that can hop. Will need bones and rigging. Size:	About the size of a normal rabbit. A little bigger than normal. Description:	A bush that acts as a wall in Cookies, garden. Size:	About 20 feet long, 4 feet tall. Should be tileable. Description:	a portly chef in an apron. Needs bones and rigging. Size: About 5 feet tall. 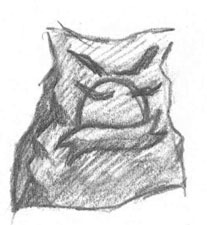 Description: A crinkly bag of angry potato chips. Needs bones and rigging. Size:	About 4 feet tall. Description: A half-eaten chocolate bar with plastic wrap for hands. Will need bones and rigging. 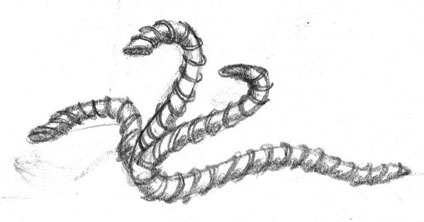 Description: A red licorice enemy that is snakelike and moves on the ground. Will need bones and rigging. Size:	About 1 feet tall. 20 feet long. Description:	The final boss. A female mounted into a wall. Will need bones and rigging. Size:	About 10 feet tall. Description:	Grass in the garden. Description:	Alt rock texture for physical rocks. Description:	Around 4 or 5 different primary colors to act as different walls in the alternate dimension. Description:	A custom font for menu that is thick like IMPACT but a little more whimsical. Textures will be a combination of being pulled from DigiPen’s library and created by our texture artists. Description:	The chef says “alright!” when he picks up an ingredient. Description:	The chef says “eureeka!” when he picks up an ingredient. Description:	The chef says “yes!” when he picks up an ingredient. Description:	The chef says “super duper!” when he picks up an ingredient. Description:	rolling pin strikes enemy. Description:	alt rolling pin strikes enemy. Description:	rolling pin strikes rock. Description:	alt rolling pin strikes rock. Description:	rolling pin strikes bush. Description:	alt rolling pin strikes bush. Description: kitchen and garden music. Description: abstract world area music. Sounds and music will be a combination of being pulled from DigiPen’s library and created by our team.